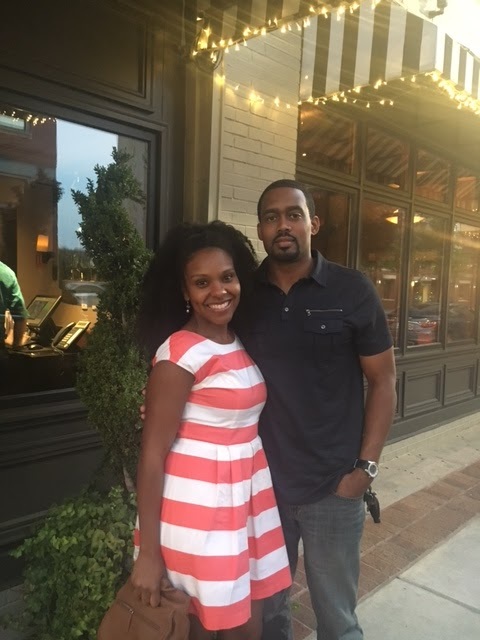 Last weekend my husband and I were able to spend the whole weekend with each other right at home with no kids. We had an amazing time trying a new restaurant, shopping, watching a movie with coffee and dessert, and having wonderful conversation. It was such a blessing to be able to take a little break from the kids and focus on one another which is so important. With kids, you can get so wrapped up in their needs that you forget about your marriage. I want to express that it is vital that you take time to date your husband. I understand that you may not have family in the area to watch the kids, and trust me I know how that feels. We do have great friends who also have kids the same age as our kids which works out great. They don't have family near as well, so we like to rotate when we can. It works out perfectly!!! Our kids love them and they are more than friends but more like family! I encourage you to get connected with another family just in case you don't have family near to watch the kids. Remember to keep it simple and have fun! 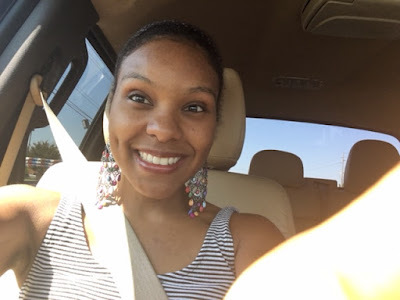 Here are a few tips to help you get excited about Date night!! Relax and unwind ( After everything, we came home and enjoyed coffee and dessert and had great conversation and a movie. We were able to relax and emotionally connect through amazing conversation. Next Date ( Spend time planning your next date and arranging for the babysitter or family to keep the kids. If you can only go out once a month, well start planning. The goal is to set a date for the next one, but don't let it turn into 6 months to a year. Enjoy your spouse and have fun! 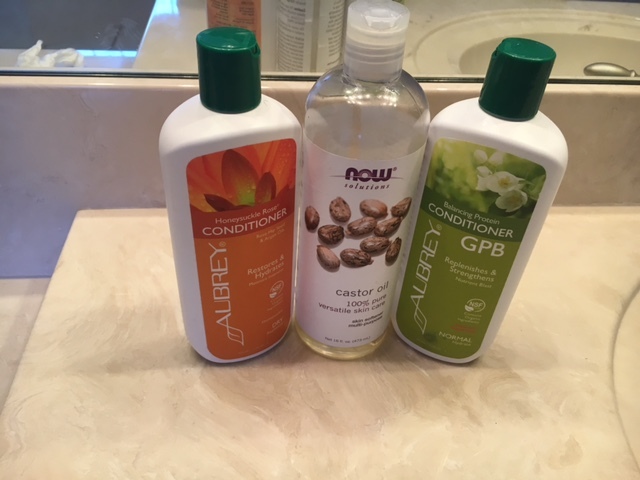 Shampoo and Condition each section - I like to shampoo my hair once a month and co-wash every 2 weeks. When I shampoo, I focus on the scalp and massage each section. When I co-wash, I apply the conditioner the section and use my fingers to detangle. When using a conditioner, you want to make sure that the conditioner is creamy and thick. 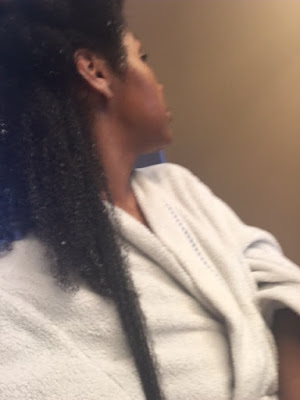 You should be able to run your fingers through each section with the conditioner and water. 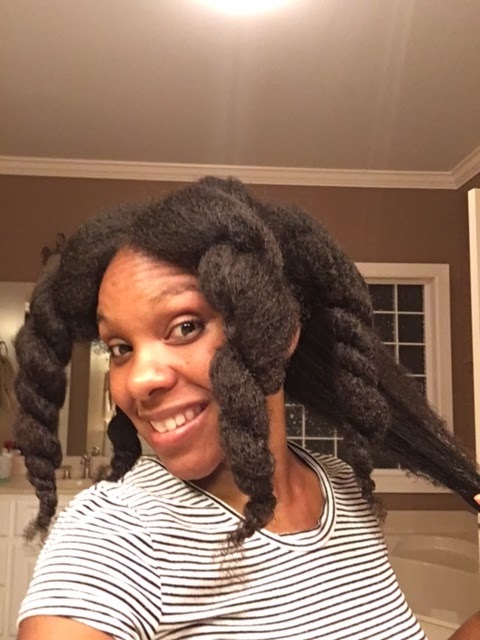 After you detangle the section, twist it and clip it and move on to the next section. 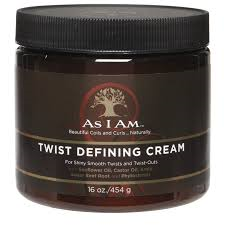 Deep Condition- It's a must that you deep condition the hair on wash days. My hair loves me for this!! I like to use the Aubrey Organics honey suckle rose conditioner along with the Castor oil for my deep treatment. Your hair should still be in 4 to 6 sections. 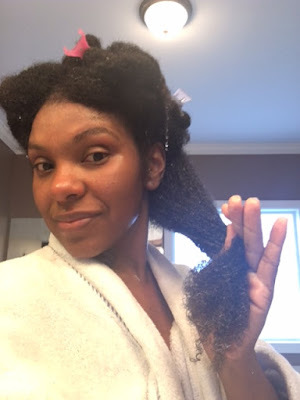 Apply a nice amount of the conditioner along with the Castor oil to each section and make sure you focus on the ends. 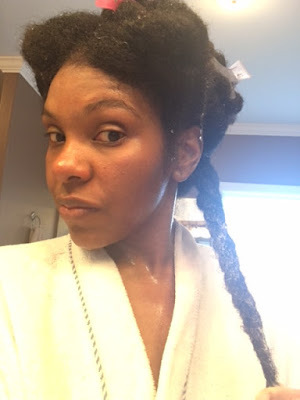 For my scalp and edges, I like to apply the castor oil and massage it. After you have applied the conditioner and castor oil to each section, put a plastic bag or plastic shower cap on your hair and sit under the dryer for 20 to 30 minutes. 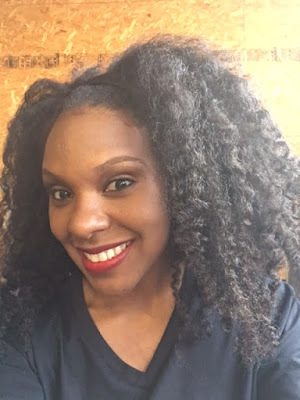 Rinse Conditioner - Now that you have sat under the dryer for your deep treatment, it is time to rinse the hair. When rinsing the hair, I like to use luke warm water when rinsing out each section. Your hair should feel really soft with a beautiful shine. Now it's time to style! 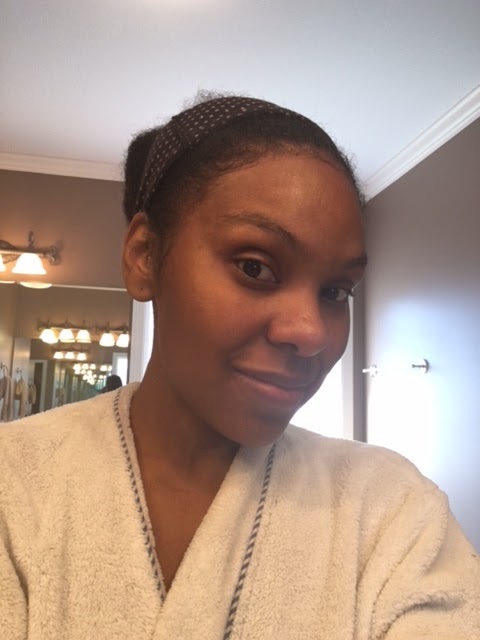 Style- On wash days, I usually do something simple, since I am so worn out from washing my hair... LOL! I only have so much time, because the kids always need my attention. On those days, I like to wear a bun which stretches the hair. On the next day, I like to plait my hair into 6 plaits for a braid out. Doing this also cuts down the amount of time it takes to dry my hair. My hair holds a lot of moisture, so this works best for my hair. Ready for fall! 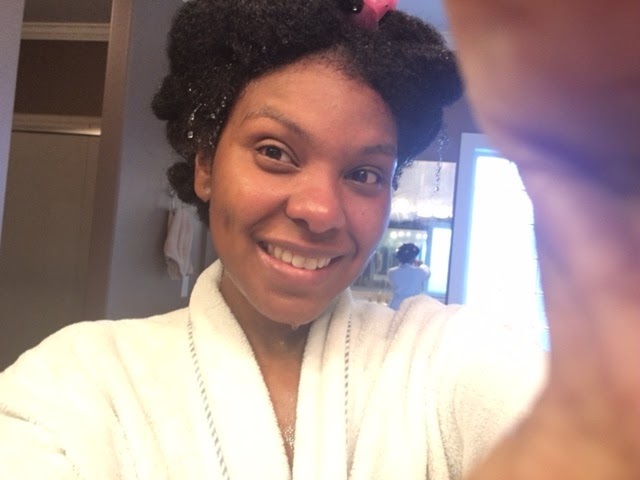 Still humid which results in shrinkage but I love it! 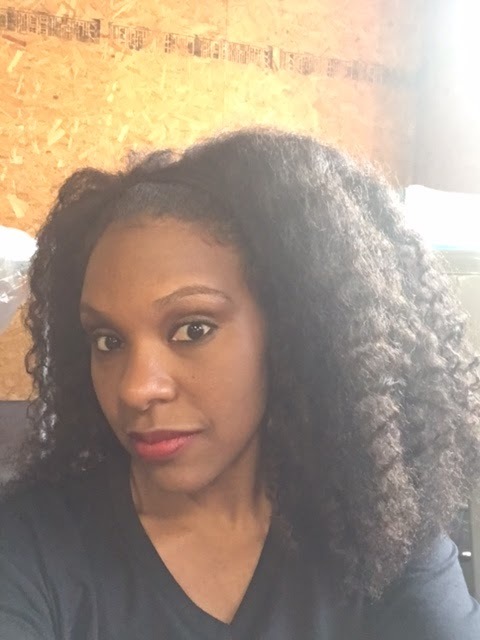 Check out my products below!! Aubrey Organics Honey Suckle Rose and Aubrey Organics GPB for my deep treatment. 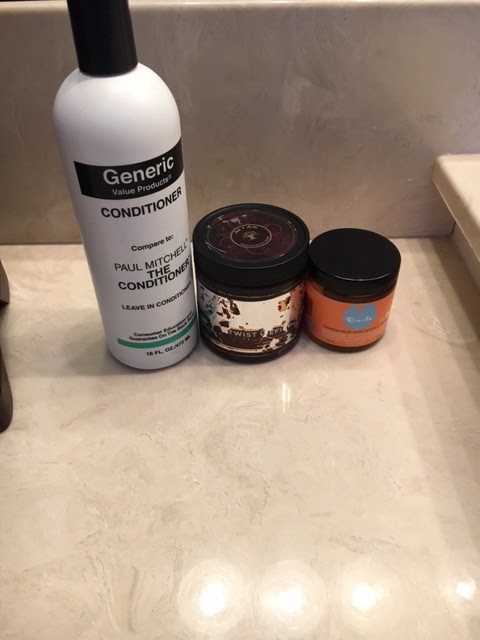 These products are used for styling. I love my Generic Paul Mitchell The Conditioner which can be purchased from Sally's as well as the Curls pomade and the As I am Twist Defining Cream which I apply to the ends to get a good curl.